Introducing our fantastic illuminated letters. 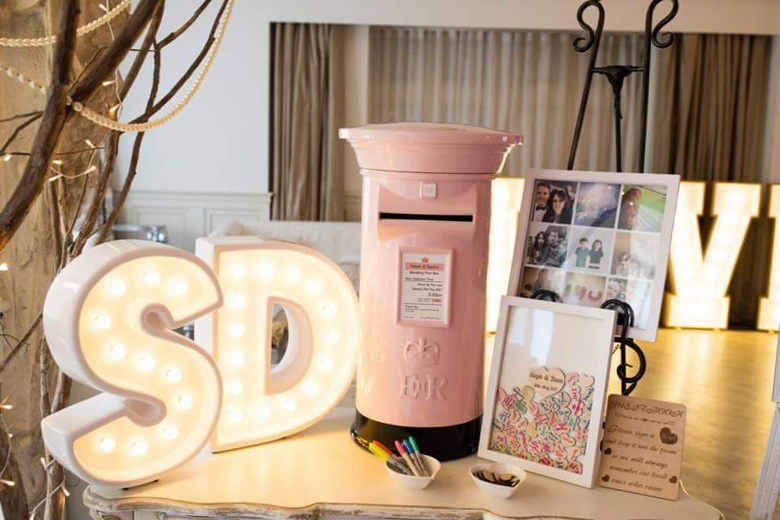 Light up letters are a great way to add a touch more excitement to your post box hire or as stand alone items. Why not place your initials either side of the post box or spell out your names, your married surname or popular words and phrases such as LOVE, MR & MRS and I DO. Standing 45cms tall our letters are large enough to stand out and be a great focal point without over dominating your reception space or breaking your budget. Hire for the special introductory price of just Â£25.00 per letter. Our marquee letters are extremely versatile and portable as individual letters and are safe for outdoor use in all weathers too. The LED illuminations are simply powered by safe batteries rather than being mains powered, which also means no inconvinience of ugly cables between letters and no trailing lead to the nearest power socket. To check the availability of the required letters for your date contact us here.